Hypertension is often called the silent killer because people who have it usually have no signs or symptoms. In fact, about one in five American adults with the disease don’t even know they have it. But it is a condition that we should all try to prevent or control. A hypertension diagnosis contributes to atherosclerosis or hardening of the arteries and puts you at higher risk for heart disease, heart failure, kidney disease, and stroke. Hypertension is the medical term for high blood pressure. When blood is pumped from the heart, it exerts pressure on the artery walls. If there is too much pressure on those walls, you have a condition called “high blood pressure” or hypertension. Blood pressure is measured during the pumping phase of the heartbeat (systolic) and during the resting phase between beats (diastolic). The number is recorded with the systolic number over the diastolic number. Normal blood pressure is 120/80 (say “120 over 80”). Hypertension is diagnosed when readings consistently reach 140/90 or above. When readings fall between those two sets of numbers, you may be diagnosed with pre-hypertension. What Should I Do If I’ve Been Diagnosed With Hypertension? The first thing you should do if your doctor tells you that you have hypertension is to breathe a sigh of relief. Sound strange? It’s not. You can’t fix it if you don’t know you have it. The diagnosis is a wake-up call to get healthy. Your physician may recommend medication. But there are also lifestyle changes that may help you to control hypertension. According to the Centers for Disease Control (CDC) lifestyle factors, including achieving and maintaining a healthy weight, are just as important for controlling blood pressure as medication. Mary Moon, M.D., a practicing family physician, suggests that patients look at the fundamental factors that have caused high blood pressure. For many of her patients, this includes being overweight. She works with many of them to develop effective weight loss strategies. Will Losing Weight Cure Hypertension? Being overweight or obese increases your risk for high blood pressure. According to both the CDC and the National Institutes of Health, losing even a small amount of weight can help you to control hypertension and lower your blood pressure. 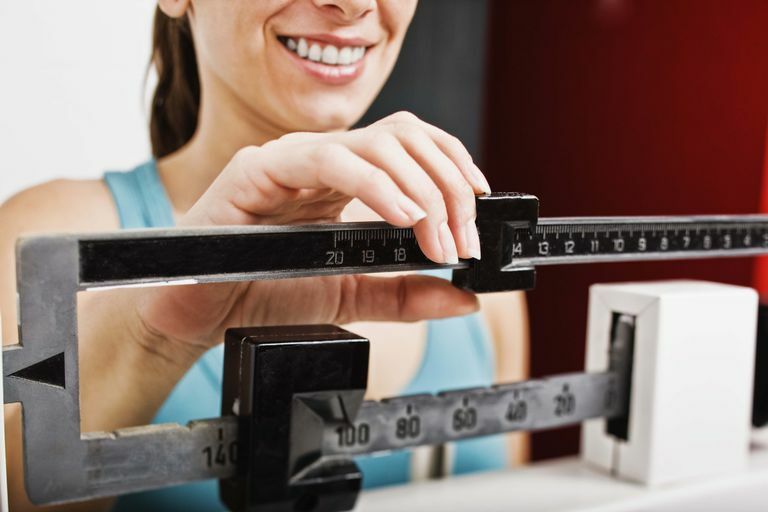 What Are the Best Weight Loss Strategies for People With Hypertension? If you have high blood pressure and your doctor has recommended that you shed a few pounds, there are two weight loss strategies that are commonly preferred. Many physicians, including Dr. Moon, recommend the DASH diet for weight loss and sodium restriction, and a regular program of moderate exercise. DASH Diet: Lower Your Blood Pressure and Lose Weight A research program called Dietary Approaches to Stop Hypertension resulted in a diet to help lower blood pressure. It includes plenty of fruits, vegetables, whole grains, and low-fat dairy foods. High Blood Pressure? Lose Weight With Exercise: Learn about the factors that are most important if you have high blood pressure and want to begin working out. If you have been diagnosed with pre-hypertension or if you just have a history of hypertension in your family, there is no time like the present to learn how to control your blood pressure. The same lifestyle habits that are used to control hypertension are also great techniques for making sure that you never get the disease in the first place. Remember to work with your healthcare team in the process of making changes to improve your health. Be sure to get medical clearance before starting an exercise program and communicate any unusual symptoms or changes to your health as you make adjustments to your diet and daily activity. Mary Moon, M.D., Interview. August 21, 2012. Prevention and Treatment of High Blood Pressure. Title of Page. American Heart Association. http://www.heart.org/HEARTORG/Conditions/HighBloodPressure/PreventionTreatmentofHighBloodPressure/Prevention-Treatment-of-High-Blood-Pressure_UCM_002054_Article.jsp. Your Guide to Lowering Blood Pressure. National Heart Lung and Blood Institute. https://www.nhlbi.nih.gov/health/resources/heart/hbp-guide-to-lower. What Is The DASH Diet Plan? Is My Fitness Pal Right for You?